Commonly abbreviated CSST, this particular type of tubing is used predominately in gas distribution industries and those industrial, commercial and residential applications in which gas transport, gas heating and appliances are commonly employed. Corrugated stainless steel tubing continues to grow in popularity due to the many benefits it has over alternative gas flow systems. Because stainless steel is highly resistant to corrosion, tubing of this nature may be used for both gases under pressure and volatile gases. The dual layered tubing allows for easy shaping and bending which not only reduces the need for stainless steel pipe fittings and other expensive connectors, but in so doing lessens the possibility of costly and potentially hazardous gas leaks. The flexibility, lightweight and smaller size of CSST also allows for easier installation thereby reducing labor costs in addition to savings related to the decrease in material usage. The plastic exterior coating comes in black or yellow to suit aesthetic needs, though the majority of the tubing is inside of walls and therefore not visible. Installed in similar fashion to wiring, CSST lines are generally run along floor and ceiling joists. Corrugated stainless steel is rarely seen in its interior applications, though the exterior connection to the gas source or meter is often visible. A central manifold or parallel configuration with multiport manifolds allows for a several lines to be run to individual appliances as well as easy expansion of the system if needed. This thin-walled metallic tubing consists of two layers. The interior layer is a continuous stainless steel coil, produced by either hot or cold rolling of alloyed steel strips. 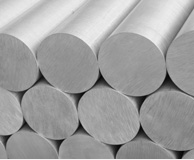 While all steel alloys contain iron and carbon, stainless steel in particular has a chromium content of at least 10%. Chromium is the element responsible for the high corrosion resistance of these coils necessary in many gas distribution applications. The exterior layer of corrugated stainless steel tubing is plastic. This PVC covering lends not only flexibility to the piping, but also added protection against gas leaks should the stainless steel coils fail. As with all stainless steel tubing, corrugated stainless steel tubing comes in a variety of shapes and grades. Important considerations for the installation of CSST include inner and outer diameters, wall thickness, pressure rating, maximum bend radius, temperature range and finishing. Corrugated Stainless Steel Tubing Corrugated stainless steel tubes are multilayered hollow cylindrical objects used as an alternative to traditional steel piping as the medium through which gases are transported.